The exhibition isn't open to the public since it's mounted in barristers' conference rooms. However, it's possible to arrange access and an evening viewing directly through me. (Please use the form on the Contact page of this web site). Your ice-like reception features Franz Josef Glacier in South Island New Zealand – on it and above it. The sheer scale, power and time worn splendour of glaciers is awe-inspiring. The corridor is illuminated by diverse properties of light sampled in Borneo, New Zealand, Ireland and England. Since photography means drawing with light, the medium literally is the message - transient, elusive and transformative. 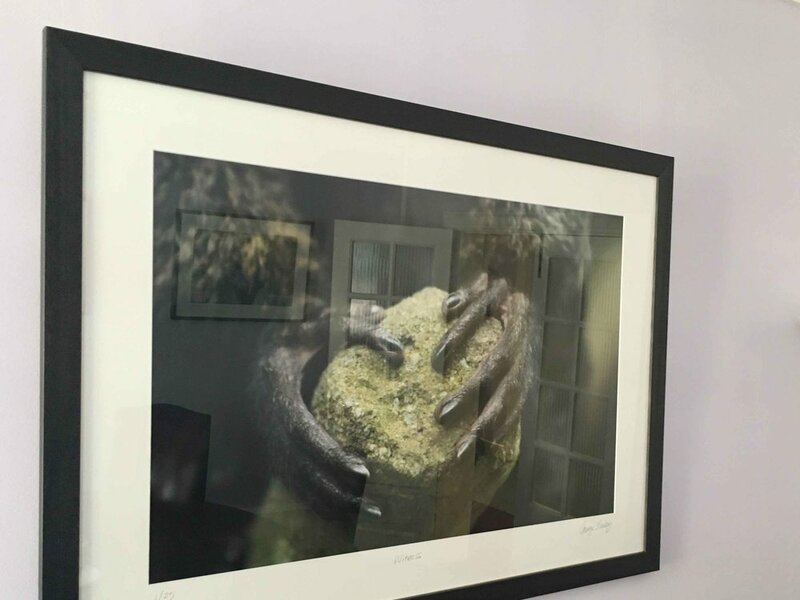 Meet monkeys in the Pritt Room – momentarily ‘captured’ whilst wild and free in Borneo and Bali. The expressions, mannerisms and bahaviour they share with us are miraculous and disconcerting. Single colours and black dominate the landscapes in the Platts-Mills Room. The limitations of the rectangle mean that ‘like being there’ is not an option so I’ve played to its strengths and say ‘just look at this’. A sea lion couple are your only hosts in the Turner-Samuels Room. More genial animals would be featured if space allowed. People, religion and colour characterise and define time spent in India. The Cox Room evokes a mere taste of this potent concoction.